Frosty was born in Oshkosh, Wisconsin, on March 13, 1956, to Glenn and Doraine Hale of Winneconne. He graduated from Winneconne High School in 1974. On June 17, 1978, he married Faye Damrau. 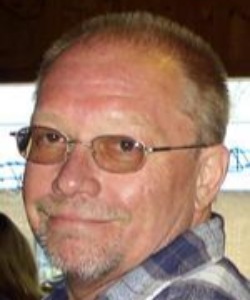 Frosty worked for over 35 years as a carpenter at Midcon Products in Hortonville, and retired only shortly before his passing. He loved to spend time on the patio with his family and friends, was an avid Packer fan, and rarely was there a day when the newspaper's crossword puzzle was not complete on his kitchen table. Frosty is survived by his wife, Faye; his mother, Doraine; two sons, Dan (Katie) Hale, and Adam (Jewlz) Hale; his sister, Jackie (Bob) Ehmke; his brother, Ron (Kelley) Hale; and five grandchildren, Cole, Fabian, Ethan, Madison, and Leah; as well as numerous other family and friends. He was preceded in death by his father, Glenn in 2010; and his daughter Nikki (Hale) Schonscheck in 2017. A visitation for family and friends will be on Saturday, March 9, 2019, from 1:00 to 2:00 p.m. at Mueller Funeral Home 904 E. Main St. Winneconne. A memorial service will be held on Saturday at 2:00 p.m. at the funeral home. Following the service family and friends are welcomed at Woodeye's Bar and Grill in Winneconne for a celebration of Frosty's life. The family would like to thank Keith and the rest of the staff at ThedaCare Regional Medical Center-Neenah for their compassionate care of Frosty in his final days. He is dearly loved and will be missed.